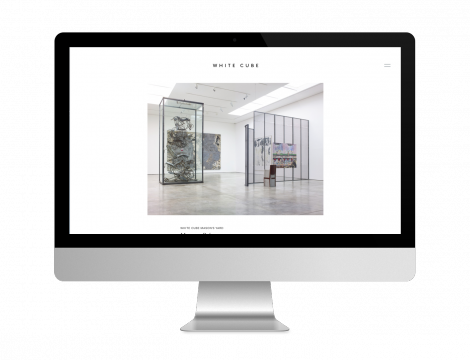 The contemporary art gallery White Cube has a new website, and that website has been designed by Keepthinking. White Cube is an internationally renowned space, representing established and emerging artists from around the world. It hosts museum quality exhibitions in three locations: London Bermondsey, London Mayfair, and Hong Kong. The website has been designed to provide a neutral backdrop, bringing the artists and their works into the foreground. It has been custom designed, and is supported by Qi to create content. For more information about the project, visit our dedicated project page; and go here if you would like to know more about our project process or about Qi. Or, you could visit White Cube.